AMD Matisse CPUs and 5,800MHz DDR4 memory modules referenced in AIDA64. Wait… what? 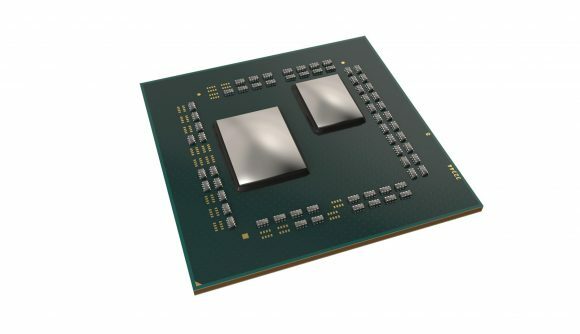 The upcoming AMD Matisse CPUs are being name-checked in the latest beta update for benchmarking software, AIDA64. 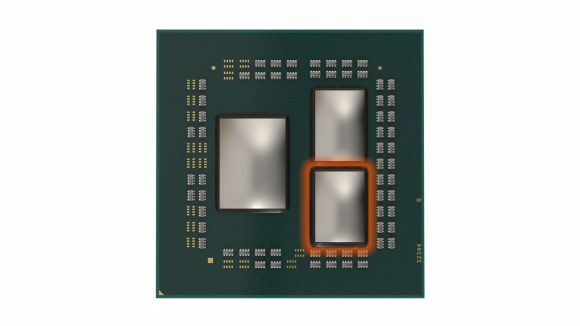 The upcoming AMD processors – AKA 3rd Gen Ryzen, AKA Ryzen 3K, but definitely not also known as Ryzen 3 – are due for a release in the summer, with our best guess at, or around, the massive Computex tech show out in Taiwan. That’s not the only interesting little tidbit to tumble out of the release notes for the AIDA64 software either, there’s an entry in there about identification of some new DDR4 memory modules. That’s not particularly unusual, but the fact the modules are rated at either 5,700MHz or 5,800MHz is pretty spectacular. Yes, DDR4 memory actually rated at almost 6,000MHz out of the box. That seems rather far-fetched, but AIDA64 is going to be able to identify them even if we can’t see how the hell they’re going to run at that high a frequency without being submerged in liquid helium for the afternoon. Considering the new world record on HWBot right now is 5,608MHz on a single Kingston HyperX memory module, those are some seriously quick modules. The AMD Matisse processors might have something incredible up their sleeves if the mighty X570 motherboards, set to join the Zen 2-based CPUs, are able to operate with DDR4 memory modules running at previously unprecedented frequencies. That would be something you’d expect AMD to be talking about, but hey, maybe it wants to surprise us with some freakish, Intel-burying memory performance. That would be pretty special, but so far all we know about the 3rd Gen Ryzen processors is that they use the same Zen 2 architecture as the big-boy EPYC chips and therefore we’re getting our first taste of chiplet tech when the CPUs hit the shelves in the summer. The AIDA64 beta release notes (via Komachi Ensaka) specifically highlight “physical CPU information for AMD Matisse.” Quite what that physical information would be is tough to say, though it could be as simple as the physical pin count of the processors. Dr. Lisa Su showed off the first public demonstration of the next-gen AMD silicon at CES earlier this year, with a naked eight-core 3rd Gen Ryzen processor displaying an obvious gap where a second eight-core chiplet could comfortably fit. Basically confirming that there will be 16-core AMD Matisse CPUs at some point in the future. Maybe not at launch, but that reveal and the positioning of the chiplet were no coincidence. And hell, if AMD is throwing 16 cores and 32 threads of processing power at a mainstream desktop processor then why shouldn’t we get some unfeasibly fast memory to go along with it?